Join this exclusive, first-access group of attendees for a detailed overview of The Equity Project, Burford Capital’s groundbreaking initiative to help close the gender gap in law. Aviva Will, Burford Senior Managing Director and project lead, and Equity Project Champion Megan E. Jones, Partner at Hausfeld and Founder of Women Antitrust Plaintiffs’ Attorneys, will explain how the initiative provides a powerful economic tool for women lawyers to ease pathways to origination credit and how law firms can use capital from The Equity Project to share risk with Burford and arm women lawyers with client-friendly alternative billing arrangements. Hausfeld Partner Megan Jones focuses on recovering damages for corporate victims of antitrust cartels for price-fixing, tying, restraints of trade, and other competition violations. Megan performs cartel analyses for her corporate clients, surveying purchase records for potential anti-competitive losses. She then makes recommendations about which losses can be recovered. Recoveries from the cases she has been involved in total well over half a billion dollars. Megan is adept at representing both classes of businesses that were harmed as well as individual businesses. Megan has been recognized locally and globally as a leader in the Antitrust and E-Discovery bars. 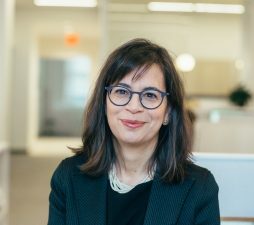 In 2014, independent researchers at Global Competition Review and Who’s Who Legal selected Megan as one of just three women represented on their list of “The International Who’s Who of Competition Lawyers & Economists.” In 2013, Global Competition Review named Megan as one of the 100 successful Women in Antitrust globally. 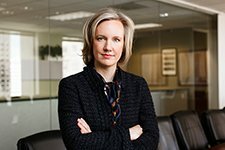 She was one of just 23 U.S. Lawyers selected for this global honor and the only U.S. lawyer who exclusively focuses her practice on pursuing recovery for victims of cartels. In 2012-2015, The Legal 500, which provides comprehensive worldwide coverage on legal services, selected Megan as one of the top 10 “Leading Lawyers” in the U.S. in plaintiffs’ representation for antitrust. It also recommended Megan in both Antitrust-Cartel Enforcement and Civil Litigation/Class Actions categories. In 2011, the publication recommended Megan for having a “good understanding of business and operational environments.” In 2012, Megan was selected by Law360 as a “Rising Star” in the Competition category. Law360 selected just five attorneys in each category as top legal talent under 40 in the U.S. and internationally, whose accomplishments in major litigation or transactions belie their age. For years 2012-2014, she was chosen by her peers as a Washington, DC Super Lawyer in Antitrust, reserved for those attorneys who have attained a high-degree of peer recognition and professional achievement. Based on her experience, Megan has been asked to speak on antitrust matters around the world, including Munich and Sydney. Megan is the founder of Women Antitrust Plaintiffs’ Attorneys, a national organization dedicated to exchanging best practices and information for women who primarily practice cartel law on behalf of victims. Speakers at the organization’s conferences have included Wendy H. Waszmer, Counsel to Assistant Attorney General Christine A. Varney from the U.S. Department of Justice, Antitrust Division, federal judges, and the Honorable Judge Daniel Weinstein (Ret. ).